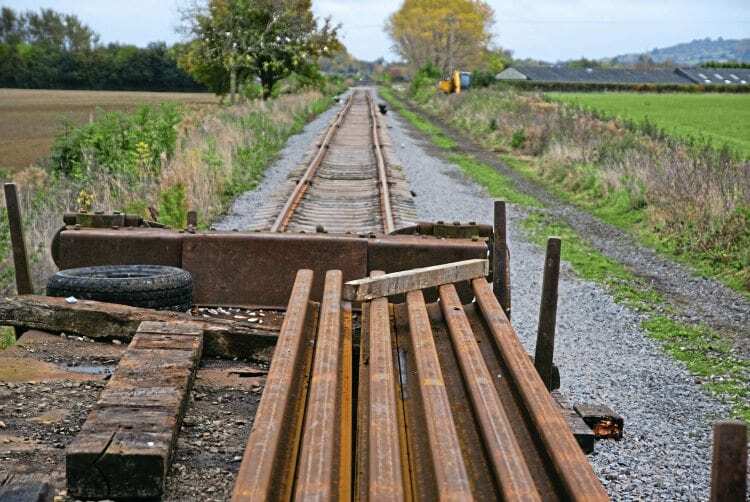 THE Gloucestershire Warwickshire Railway has crossed a county boundary for the first time, as its new northern extension has reached Worcestershire. Tracklaying on the extension to Broadway crossed the county line between Little Buckland and Peasebrook Farm bridges, at a point not accessible to the public. At the same time, the railway’s Broadway: The Last Mile funding share offer has reached the £880,000 mark. In October, the railway took delivery of its third of three orders for brand-new steel rail, purchased from the recently-renamed British Steel (formerly Tata) rolling mill at Scunthorpe. With Network Rail concrete sleepers already in stock, it has sufficient track materials to complete this year’s work programme, getting ever closer to the tourist honeypot of Broadway. It is the first time since it was lifted by BR in 1979 that the track has crossed the county boundary.